Another classic brought to you by the legend that was Agatha Christie. Where did she get these plot twists from?! I loved the conclusion of the mystery surrounding the murder (That’s not really a spoiler, because the title of the book kind of hints at the fact that there’s going to be a murder). I have to confess, at first I thought that a story with ONE setting (ie. a train) would be quite a boring literary mountain to climb, but boy was I wrong…! It didn’t really matter where the scenes were set, each chapter was filled with enough intrigue to keep the story more than interesting. I feel kind of bad for Poirot though. The poor man can’t even have a decent holiday without being pulled into a murder investigation! If I were him I’d have retired ages ago! Just leave the little Belgium man alone (He doesn’t like being mistaken for a Frenchman!). I won’t go into a detailed review because I don’t want to spoil the story for you (in case you haven’t read the book yet), so I’m keeping it short and simple. 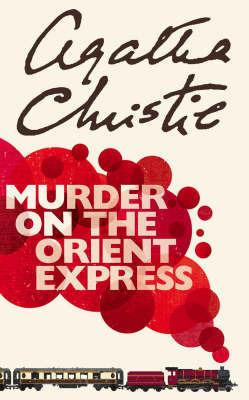 Murder on the Orient Express is a must-read for anyone who enjoys mysteries and detective stories. A little tip? Don’t feel bad if you can’t figure out who the culprit is before M. Poirot or Ms. Marple do. It’ll just never happen, alright? We might as well acknowledge that now. Agatha Christie will always outsmart her readers. The more I read about Agatha Christie, the more I want to grab all of her books from the library! I read a couple in French ages ago, so I am curious to discover her in the original text! I agree, poor Poirot can’t even take a holiday. That’s the curse of the best! I really need to read a book by Agatha Christie. I’ve been getting more into mysteries lately, so maybe I’ll get to one soon. 🙂 Great review! I read this book earlier this year and enjoyed it. It was my first Agatha Christie read. I also thought it would be boring at first but then I got sucked it. Loved how it ended as well and I like how Poirot solves the murder as well.